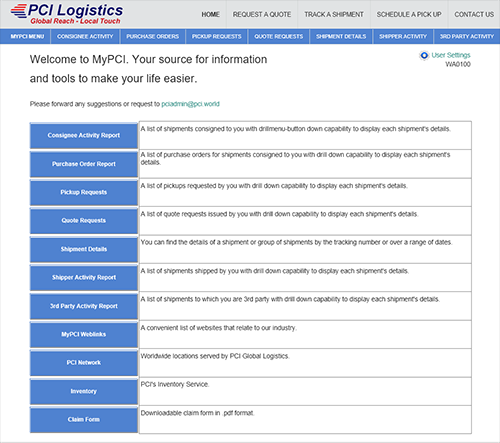 MyPCI is a suite of customizable freight management tools that can be used to manage your supply chain. In MyPCI, we present unique opportunities for customers to innovate themselves, utilizing our data, tracking, GPS and our expertise. You can watch sensitive shipments in transit for deviations in route, temperature, light and shock. This allows the customer to make key decisions with confidence, ensuring your expectations are met.